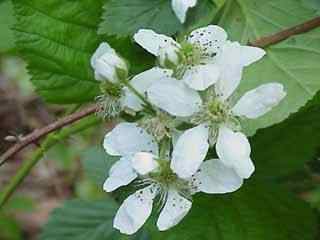 Description: Growing 4 to 6 feet tall, leaves are divided into 3 parts. Flowers in clusters. 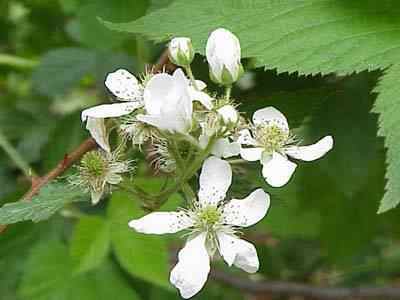 All plants in the genus Rubus are woody, with curved stiff prickles (very prickly) or bristle shrubs Fruits are tasty when ripe, I might add they have to be "dead ripe" for sweetness. Good for making preserves or jellies even pies.